Flew into Bozeman, and stayed with friend Steve Galletta in Big Sky for the night. 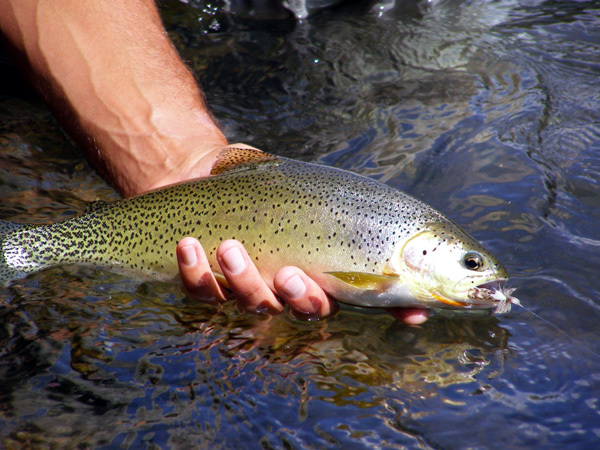 Fished the Gallatin that evening and did well, mostly with rainbows, but a couple cuttbows and a brown in the mix. 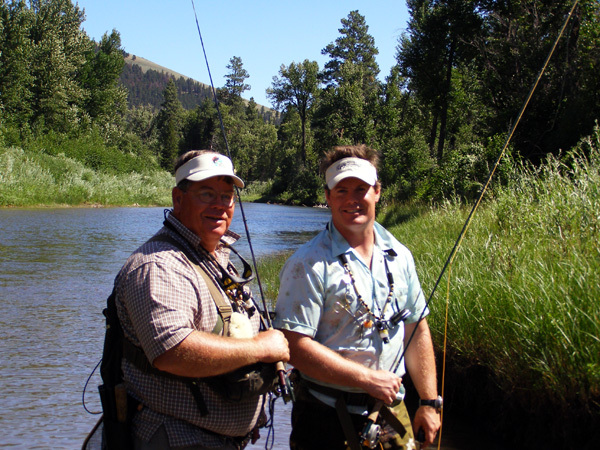 Nothing very large here--15" was biggest-but beautiful scenery and wild trout. 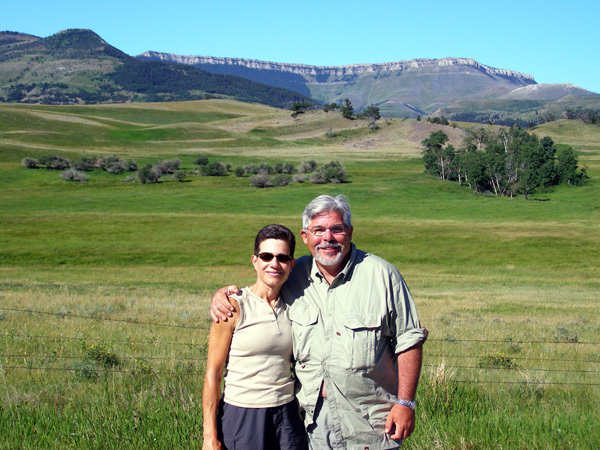 Met good friends Sheila Ditullio and Randy Oppenheimer at the airport in Bozeman for our trek to the Madison river. Fished that evening and got a few good fish in the wade section of the river. 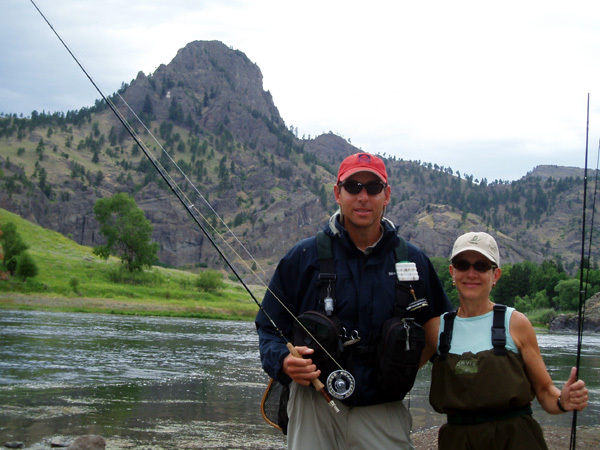 Randy and Sheila Floated the river the next two days with Montana guide and former Buffalonian Tom Cornell, who now guides out of Blue Ribbon Flies in West Yellowstone. 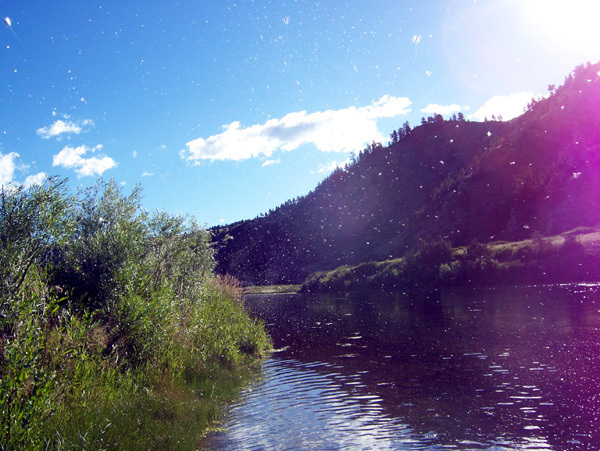 They had some great dry fly action while floating the 50 mile riffle. 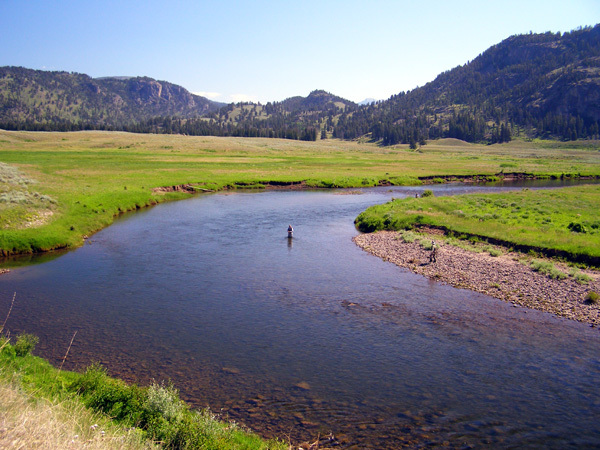 Day 3 we ventured into Yellowstone Park to fish Slough Creek. 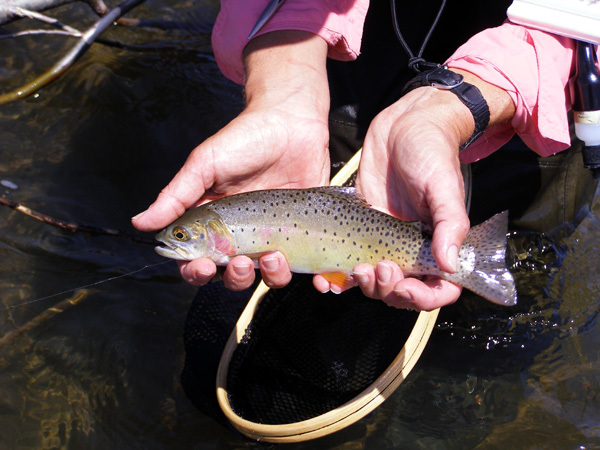 We caught cuttthroats and rainbows, and saw elk, buffalo and bald eagles. It's always a treat to travel thru the Park. Day four found us on the Missouri river, staying at a beautiful riverfront cabin just downstream of Craig. 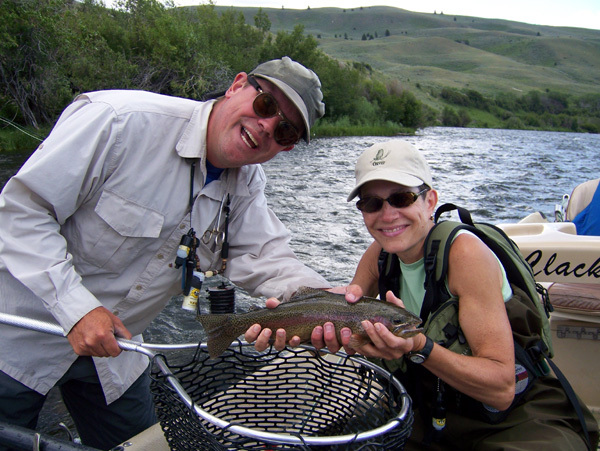 Sheila and Randy floated the Mo' the next two days with my good friend, Montana Outfitter & Guide Doug Pauline, out of Ennis, MT, while I Tagged along in a pontoon boat. 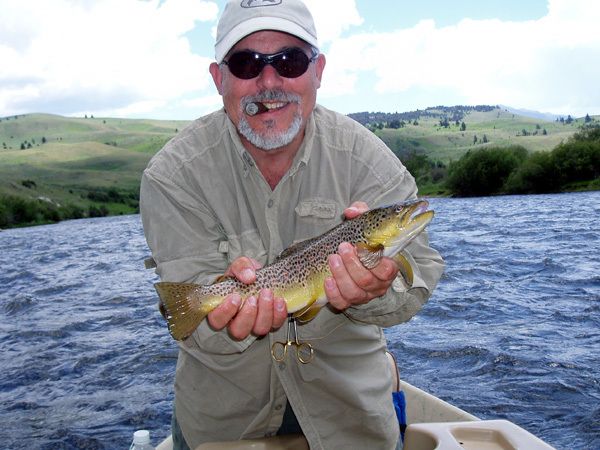 We got some good fish on the Mo', though the dry fly fishing was slower than what we had hoped for. 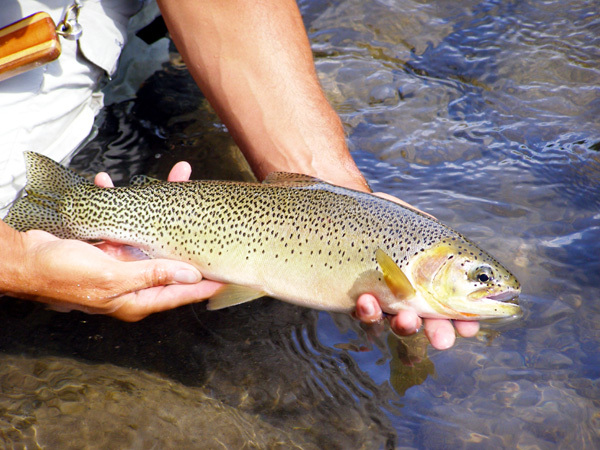 Still, we got some nice 'bows and browns. On day 6 we explored the upper Dearborn river, a tributary to the Missouri, where we caught some beautiful wild rainbows out of the cold, gin clear waters. What beautiful scenery! Randy and Sheila's week was up, and the next group was coming in. Rufus Williams and his son Chuck, as well as Jim Fashano, Jeff Russo, Brad Elliot & Dave Hastie met up with me on the Missouri. 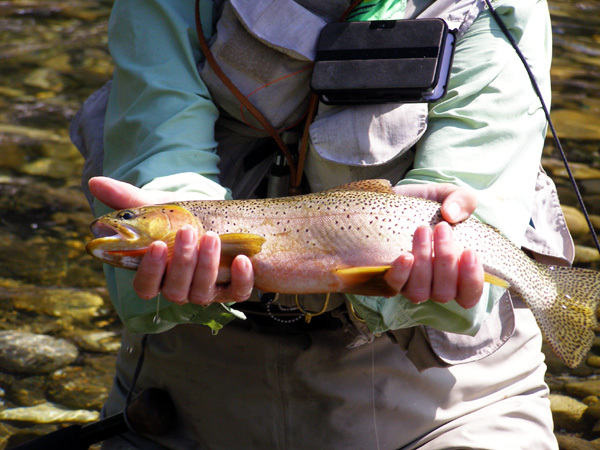 Dry fly action continued to be slower than what we had hoped for, but we still managed to get some good fish on top. 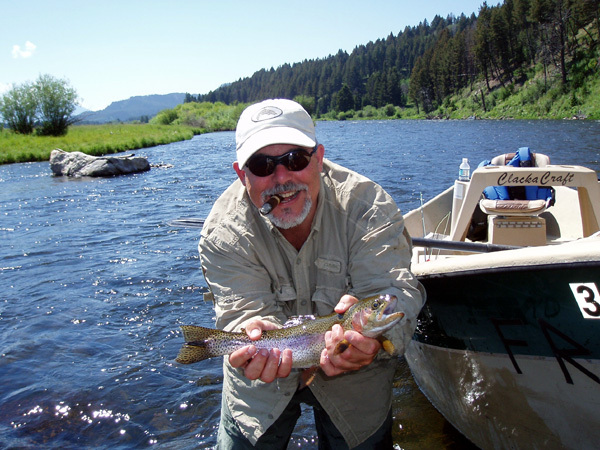 We all enjoyed our riverfront lodging, and we could fish until 10:10 pm each evening, and then sit back on the porch and enjoy some cold Fat Tire's or Trout Slayers. Jim and his gang left after 3 days, and Chuck Williams had to get back to work, while Rufus traveled with me back to the Madison for three days of floating. 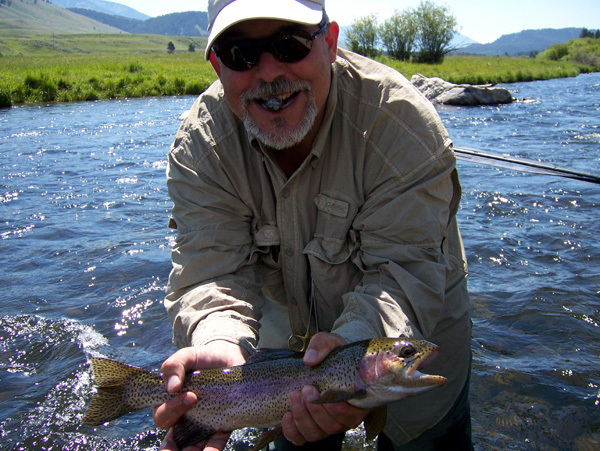 Fishing was much faster on the Madison, and we experienced consistent dry fly action on our day floats, with the am hours being the best. Evening fishing on our own in the wade section was very hot, with nice fish rising to caddis imitations and rusty spinners right up until dusk. After dropping Rufus off at the Bozeman airport at the end of his week, I drove to Kalispell to pick up my wife Leslie at the Glacier International Airport, for our trip North to Fernie, BC and the Elk river. 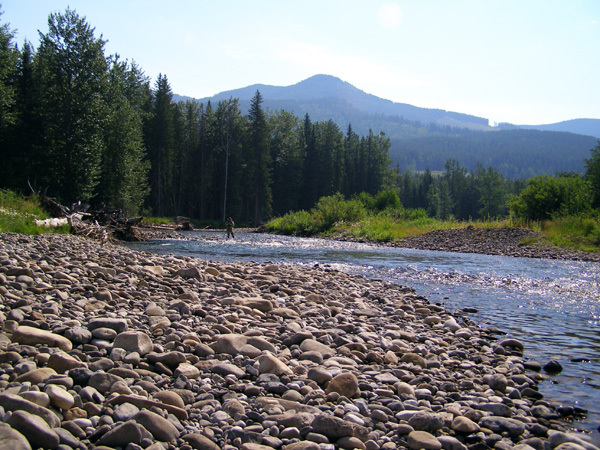 The Elk river is a lightly fished river flowing thru the southeast corner of BC. 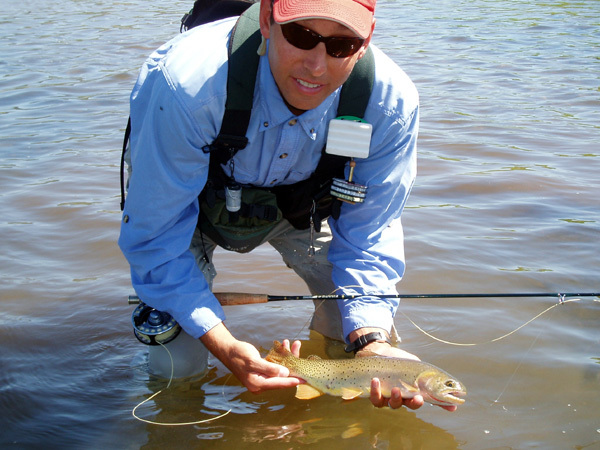 It is home to westslope cutthroat and Bull trout. 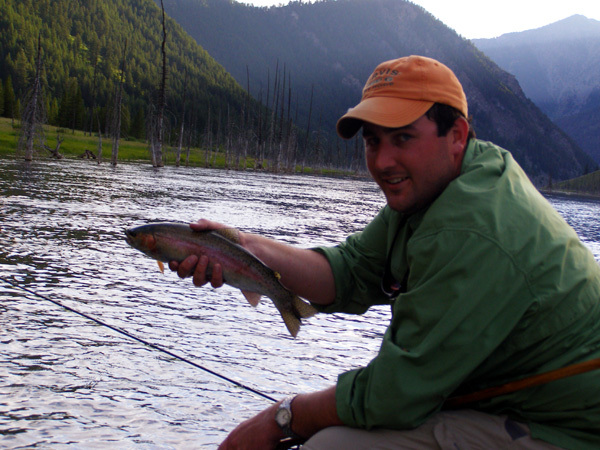 Fernie is really known as a ski town, but it is quickly becoming known as a great place to fish. 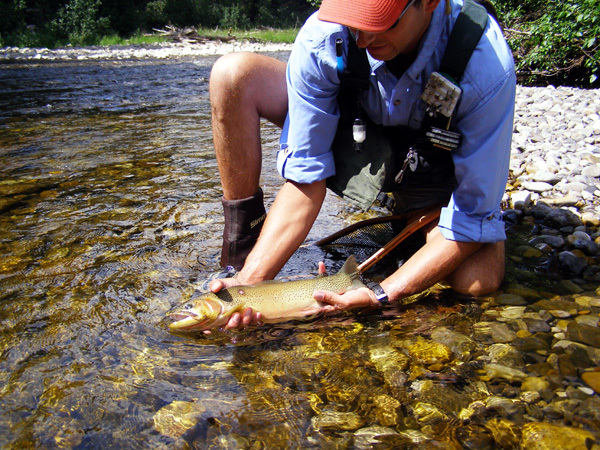 The Elk and it's tributaries offer excellent fishing for good sized cutts and large Bull trout, in a wilderness setting. 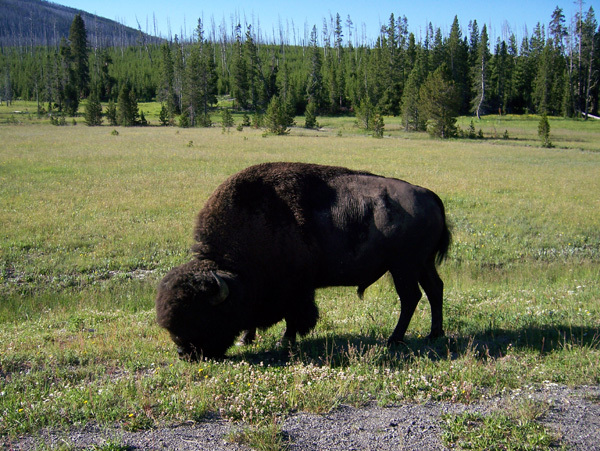 Elk and Grizzlies are common here. 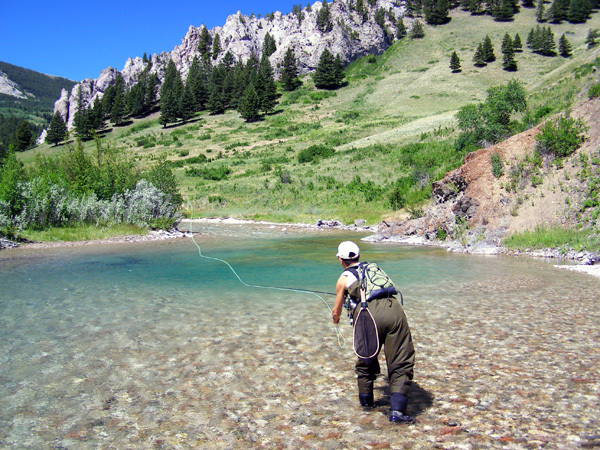 If you like small stream fishing, the tributaries to the Elk are awesome. They are all crystal clear after run-off, and they are bug factories, with caddis and mayflies in abundance. 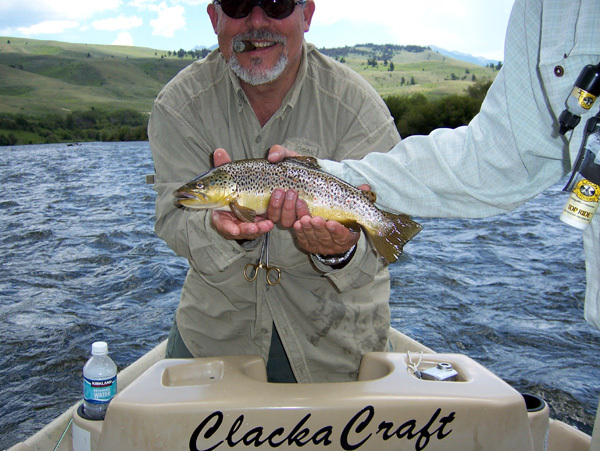 We had green drakes coming off while there, so we were able to fish large dry flies for cutts up to 19". 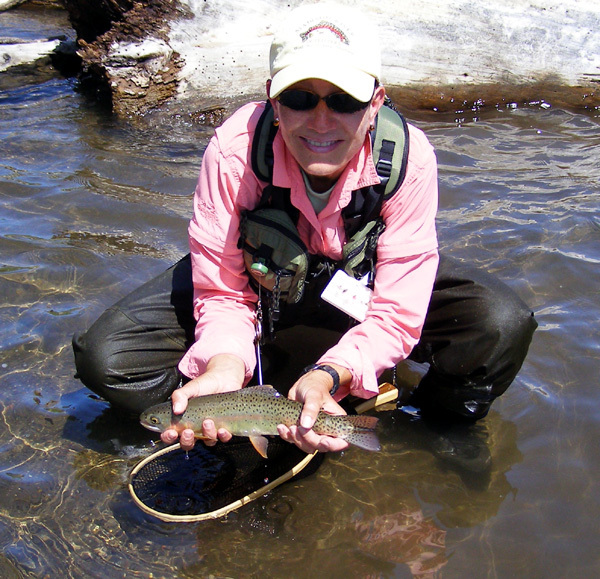 For Bull trout, streamers work best, and we got a few small ones while swinging large streamer patterns. Fernie has some great restaurants, lots of non-fishing activities such as hiking & mountain biking, and the fishing opportunities are great. 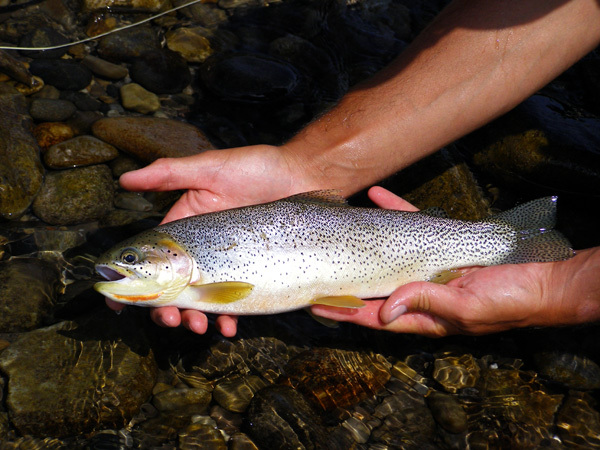 You can float or wade over 50 miles of the Elk river, and the many tributaries to the Elk offer great dry fly fishing for Cutthroat trout, as well as streamer fishing for large Bull trout. I just scratched the surface of this area, but will definitely be going back next year. 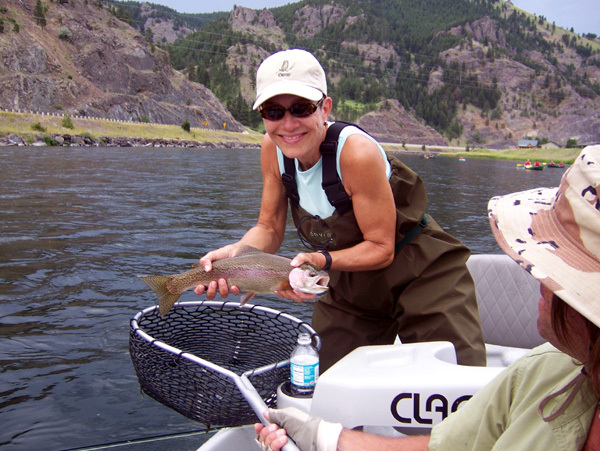 Sheila's Ditullio's comments below about her trip are right on about what makes these trips so special: Good friends, good health and good fishing. 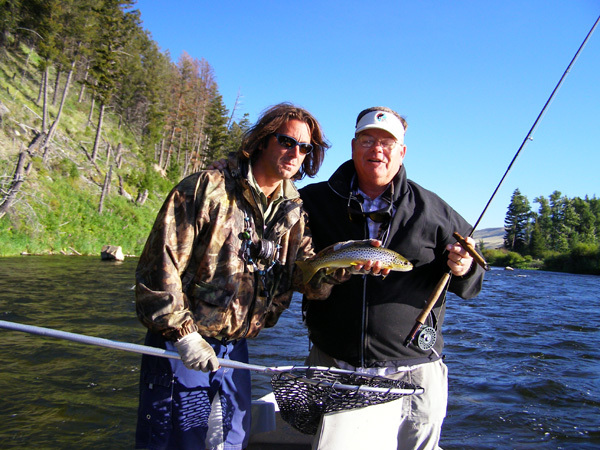 "Hi Vince, just wanted to once again thank you for a wonderful trip in Montana. They say God is the color of blue because blue enconpasses all of God's creations. 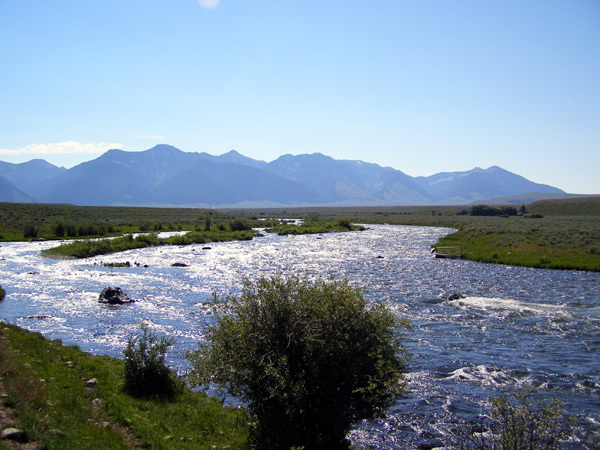 If that is true, and I believe it is, Montana is truly God's country with it's big sky and blue in every direction. 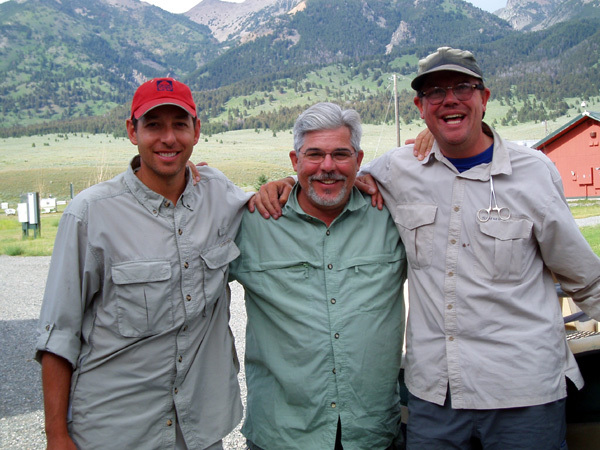 This trip was very special to me; it emphasized good health, good friends and good fishing. 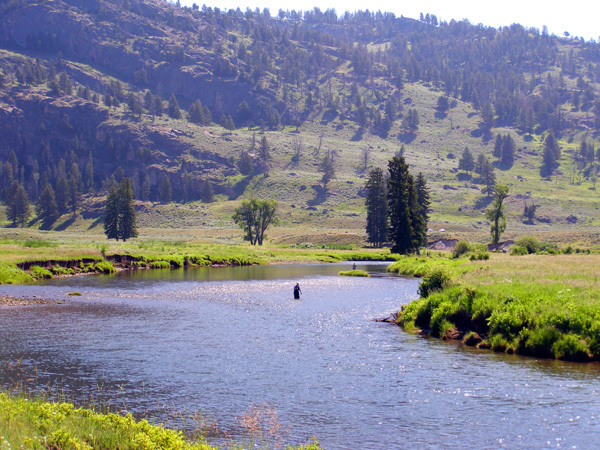 The fishing on the Madison, the Missouri and the Deerborn was breathtaking - I can never get enough of it and the fish that were caught were big and wild and beautiful. You did everything possible to make the trip everything I expected and more and you are are wonderful host to travel with. 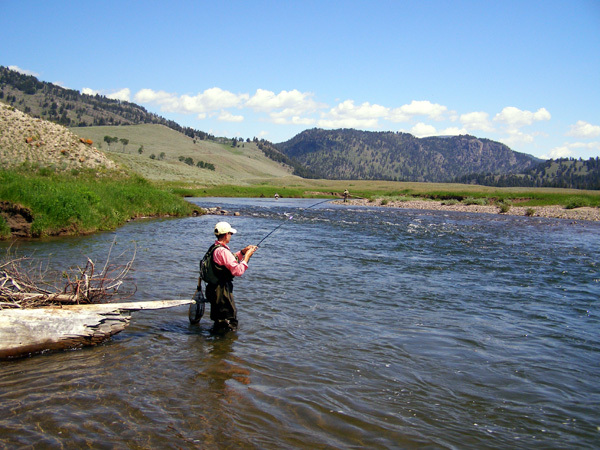 You know the rivers better than many of the native's and I simply can't wait for the next trip becaue I love Montana. I have some exceptional photos that I will e-mail you, I hope you and Leslie had a great time up in British Columbia. Your friend, Sheila."